Updated 22/04/2019 By Alyson Long. Any post on this site may contain affiliate links. If you use them, they cost you nothing extra. We make a small commission. 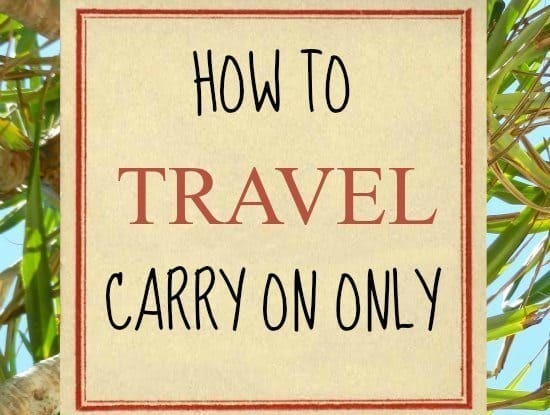 If you’ve been following us right from the start, you’ll know that I always said I’d never travel with carry on only. 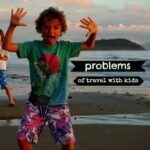 I even wrote a post about why we’d never travel light. We just had too much stuff as long-term travellers and the children were too small for their own, decent sized, packs. Well that was then, this is now and lately we’ve turned to carry on only travel and become quite proficient as our circumstances have changed. These days we’re more like you, we’re taking shorter trips and we have our home base in beautiful Romania to stash the toys and school books along with the all-weather travel gear. 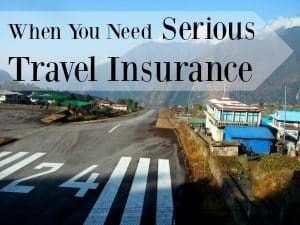 Travel is more of a holiday or vacation for us now, rather than our lifestyle so the carry on bags and pared down packing are becoming more normal. I should say here that I don’t find any of the above advantages to be HUGE advantages and there certainly are disadvantages. It’s nice to have a big pack that you can dump in the airport or at your accommodation, leaving you with less to carry every day. A few extra minutes at the airport is no big deal and I actually enjoy carrying a full-sized backpack and the convenience of having everything we need. So for big trips, we still take the big packs, every time. But, being based in Europe these days, we fly budget airlines frequently and carry on luggage saves us a lot of money on these short-hop flights making this sort of travel convenient but still for long-term….no way! We need our laptops, camera gear, toys and school books, also laundry every other day is a real bind and ties you down. That said, the kids have never checked a bag. We grown ups carried their school books, toiletries and electronics, so all they carried was a small bag of clothes until they were old enough for adult sized carry on luggage. Our pen knives, with cork screw, for wine-opening emergencies. Nail scissors, for nails, hair, every scissor-requiring situation. Regular sized bottles of shampoo, sunblock, etc are banned. All liquids need to be under 100ml in volume and be stashed in a clear plastic zip-lock bag. Yes, toothpaste counts as liquid, so does Marmite, as my husband discovered last week. We used to find the idea of buying on arrival or dumping before departure terribly wasteful and unnecessarily expensive, but now, with a home base, we can decant into mini travel-sized bottles or easily stock up on perfect carry on toiletries. Shorter trips are normally focused on one climate, one destination, so multi-climate gear isn’t needed, neither is multi-activity gear. 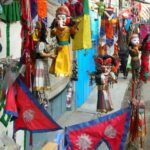 So for Nepal we don’t need swimwear, for London we don’t need sleeping bags, for Sri Lanka we don’t need hiking boots and so on. Shorter trips are much easier to pack for. These days we know before we leave if we’ll need to take our mosquito nets, sheet sleeping bag liners and down jackets, the necessity for big bags is diminished. School books, notebooks, pens and pencils , on short trips we don’t carry them. It’s easier to juggle old-school education with education-as-travel now we have a home base. 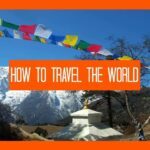 If you want to learn more about worldschooling and travel on the road, including what resources we normally use, click-through. Likewise, Lego, Harry Potter Wands, Bakugan and 25 cuddly animals don’t need to travel with us full-time any more. 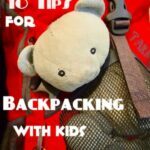 My kids do not take toys, other than 2 essential bears, on short trips ( by that I mean up to a couple of months). We have 2 main carry on backpacks, one for each child. One is a Mountain Warehouse 45L trekking pack ( no longer available) that we used on our Himalayan trek, the other is the rather splendid Farpoint, below. The adult size works for him at 10 years old, now 12, and hopefully will fit him right into adulthood. It also fits Chef and I so the whole family can use it if we need to. Osprey have a lifetime guarantee on their bags. 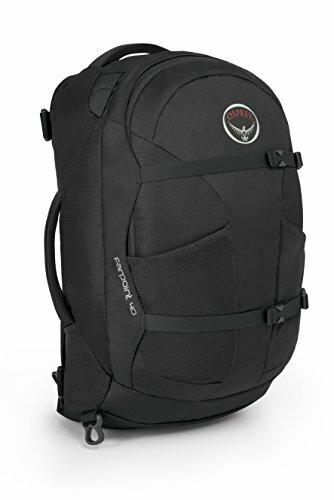 We’ve invested in the Rolls Royce of carry on backpacks, the Osprey Farpoint 40 ( the Fairpoint is the women’s version). It’s a great bag and comes with a lifetime guarantee but it is slightly, only slightly, too big for Air Asia size regulations. We’re hoping we’ll be OK, we’ll let you know, but there was nothing of a decent standard that met AirAsia’s specifications. This belongs to one of the kids and hopefully will be their luggage for life. UPDATE: We’ve taken the Farpoint 40 on MANY AirAsia and Air Malaysia flights now and never had a problem. 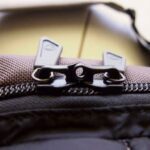 good compression straps for load stability and to make it look smaller at airports. Personally I prefer a back pack, I find them more convenient, others prefer the wheely bags, carry on sized hard luggage on wheels. There are advantages and disadvantages to both, it’s really up to you. We have a post on the choice of backpack, travel pack or suitcase. I LOVE this shampoo! It makes my hair fabulous, smells amazing and works for carry on. Click the image. We’re having great success with solid alternatives to traditional liquid toiletries for carry on only travel. We now always carry solid shampoo bars and solid deodorants. We swear by LUSH products but other solid toiletries are available including tooth powders. Solid shampoo. ( I ADORE the smell of Karma and what it does for my hair) We can use this as soap or to hand wash clothes too. You’ll also need the smart, functional travel tin. Solid deodorant. It really works and is less health-impacting than chemical sprays, I bought it for my 11 year old, now we all use it. Toothbrush. We often buy toothpaste on arrival. Tooth powder will be my next purchase. Antibacterial hand gel, depending on destination. Small pack of sensitive wet wipes or baby wipes, for cleaning faces. Occasionally, for cold city travel, I pack my travel hair dryer. Since having my hair cut short I don’t take it at all ( this also means no conditioner needed). If you’re looking for the best travel hair dryer, check out this guide. I’ve not found a satisfactory way of carrying sun block, you will need more than 100ml, buy on arrival. For short trips, you won’t need to carry a cure for everything. We find, after 3 years of practice, that it’s best to carry a small stock of the things you may need. People rarely get sick or injure themselves near the shop you want. For longer term or more adventurous travel, I’m never without my travel-sized ear thermometer. With kids it’s better to be safe than sorry and I need to know exactly how bad that fever is. Sometimes I take it when we travel carry on only, sometimes I don’t, I do a mommy risk assessment. One full change of clothes each is all that we’ve found we really need. Usually we carry 2 pairs of trousers, we wear one, pack one. Depending on climate we’ll also pack leggings to use as pajamas or an extra layer. We may carry more tops to allow us to layer in colder weather. This list is per person, we may throw in a few extra T shirts for the kids if there is room. We like to leave with less-full bags so that we have room to buy clothes and souvenirs at our destination. 2 pairs of trousers each. I prefer jeans but most normal people buy “travel” trousers that are small and light to pack, crease resistant and easy to wash and dry. Trousers that zip off to make shorts are another popular option. Leggings, thermal. For kids and for adults. Travel towel ( my favourite thing!) We’ve tried a few to find the best on the market, click through. 2 vest t shirts or tops, sleep wear and a base layer. hiking or trekking shoes or whatever comfortable shoe you prefer. I think that’s it. Did I miss anything? Our major inhibitor with travelling light lies in electronics. We carry camera gear, video gear, laptops, kindles and so on. The kids’ small electronic items, are no trouble. When we’re carrying 4 laptops, carry on only just ain’t happening. This is what we carry for our family of 4, 2 kids. On long term travel we carry 4 laptops and all the camera gear, for shorter trips we cut it right back. The 3DS, music players etc are for the kids. Camera and charger (1) I’ve just upgraded to a small DSLR after 12 months of struggling with a broken mirrorless. I’m thrilled! I’m going all ” photographer ” ! Rechargable Power Packs (2) HIGHLY recommended for power-less emergencies, particularly with kids, we’ve tested a few and our favourite is a solar charged version, see our findings by clicking through. Use a travel organisertravel organiser ( this is the one I use) for documents, small items, phone, leads, etc. We made this for you, for Pinterest, thanks for helping us! 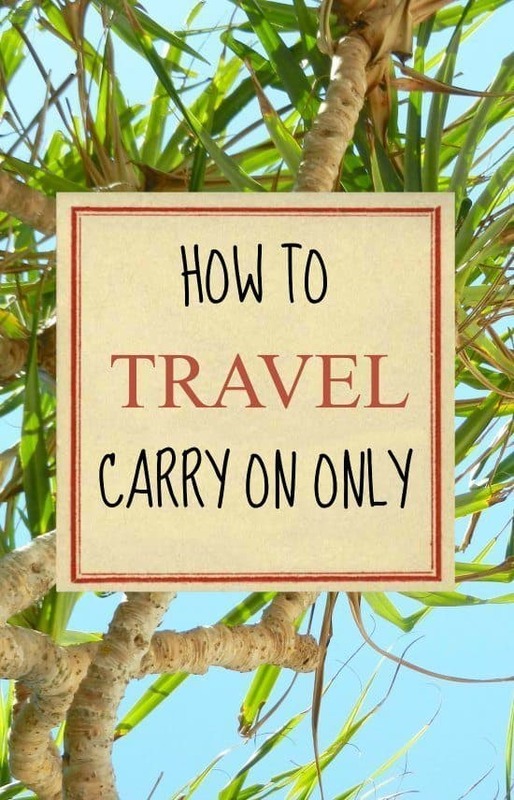 Act like your carry on bag is as light as a feather, casually sling it over one shoulder. Toothbrushes and dry toiletries can we wrapped in a wash cloth or zip lock bag, ditch the bulky wash bags. Keep your small liquids together in a zip lock, ready for customs. So that’s it, just about everything we’re learnt about flying carry on only, as a family, with one child, or solo, we do it all these days. Did we miss anything? Is there anything we should add? I just found your blog and I’m in love! We (2 adults, 2 kids under 5) will be spending a bit over a month in Malaysia/Vietnam this winter and I’m devouring your Hoi An posts. We always travel with carry-on only and that LUSH shampoo is fantastic! Their solid conditioner is very good, too, and that’s what I bring. We bought an iPad and a dongle that lets us upload photos from our DSLR onto the iPad and stopped bringing the laptop with us. I’ve never thought about travel towels and now that I’m facing AirAsia and towelless lodging I really need to go buy some. Thank you! Thanks for linking to my carry-on chart! Congrats on going carry-on only. It does have its drawbacks sometimes, but I love the freedom of having less stuff with me. As for sunscreen, I’ve purchased solid sunscreen and it works pretty well. Kind of feels like I’m putting deodorant all over my body, and I have to be more careful to make sure I don’t miss sections, but it seems to work just as well as the normal liquid stuff. BUT, we have the other half with his bulky clothes and my son just doesn’t care and throws anything in! I need to go all ninja on them and be in charge but sometimes I just don’t want to. Hi Kirsty. The kids are easy now thy have their own bags and I don’t have to lug ALL their possessins around the work. The husband can sort himself out! He’s just been in London for 6 weeks, working AND Iron Man training with just his carry o, in the backpack mentioned above. But he didn’t have laptops or cameras with him, just a phone. Oh no!! We are traveling from the UK to California with carry on only!! You said NEVER!!! Have I made a huge mistake ? Well so long as you’re only going for a short holiday, a few weeks, it’s fine. Long term, with kids toys and school books…nope. And if you have a home base, it’s way easier, we literally carried EVERYTHING for a couple of years of nomadic full time travel. Book baggage for the return journey, bound to buy things there! Also a good idea, we’ve done that once or twice. Just book a big suitcase for 1 of you. Sometimes it means booking the tickets separately, if you book 4 together it can be hard to specify just one checked bag.